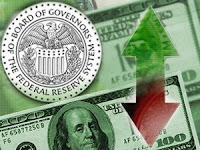 The Federal Reserve, European Central Bank and four other central banks lowered interest rates in an emergency coordinated bid to ease the economic effects of the financial crisis. Gold prices rallied to an all-time high of Rs 13,745 in early trade on the bullion market on hectic stockists buying prompted by higher global advices as well as festival demand. Gold prices in Singapore rebounded as safe-haven buying picked up after share values tumbled to multi-year lows across the globe.